Establish your authority through quality backlinks.on-site content.higher Domain Authority. Links to your website from others are incredibly important as a foundational pillar of your SEO Management. To Google, these links are like a personal recommendation that your site is trustworthy and authoritative. The more authority behind the recommendation, the more credence Google gives it. Even if the content on your site is worthy of these endorsements, it is not always a given that you will receive them. That is why link building is an essential piece of your SEO strategy. Here at WebMarkets, we will identify the existing links to your website and assess their current impact on your site’s SEO. Unlike some who promise links in bulk and in turn deliver questionable if not spammy links to your site, we know the importance of delivering high quality, relevant, and authoritative links that actually help you reach your goals. Link building is an essential piece of SEO management and strategy. We all hope that links will come magically without putting in extra work to make them happen, but most of the time that simply isn’t the case. No matter how excellent and link-worthy your content is, or how deserving of links your brand name may be, you are not utilizing them to their fullest extent unless you incorporate link building into your overall SEO and digital marketing efforts. Articles published on other websites with relevant links back to your site. The start to any link building campaign is having high quality content on your site that is worth linking back to. Inclusion in high-quality, relevant, industry-specific online directories. Ensuring any positive mentions of your brand online also include a link back to your website. Finding pages of online resources relevant to your business and ensuring your inclusion on them. Finding broken or out-of-date links on sites and offering your superior resource as an alternative. -Search Engine Watch "Ways to improve your link building"
And Why Do You Need To Leverage It? Do you know what your Domain Authority is? Or why you should know it? Domain Authority, or DA, is a metric developed by Moz that predicts how well a website will perform on a search engine result page, scored on a 0-100 scale. Since Google doesn’t provide the metrics they use to rank websites, Moz developed and continuously improves Domain Authority as the closest publicly-available alternative. Why do you need to build your domain authority? While DA is a tool to predict, not ensure, success, it is a highly accurate standard to gauge SEO growth and success. By taking the steps to build your DA, you are also taking the steps for success with Google. 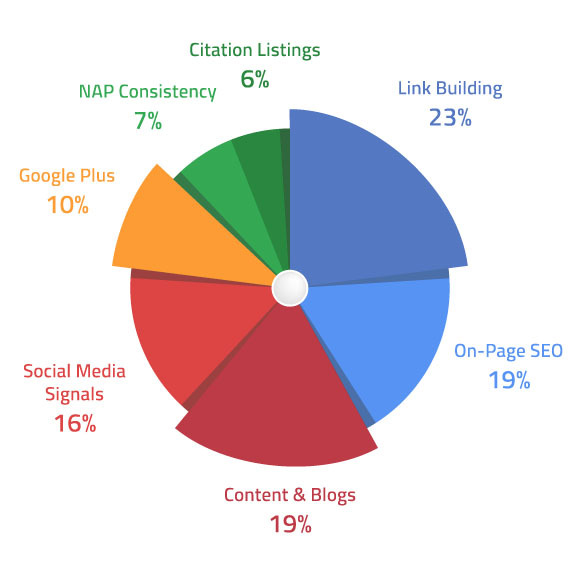 Enter your website below and the WebMarkets SEO team will send you a domain authority report. For free! No Strings attached.